Slow down and listen to the birds…and they will tell you nature’s secrets. 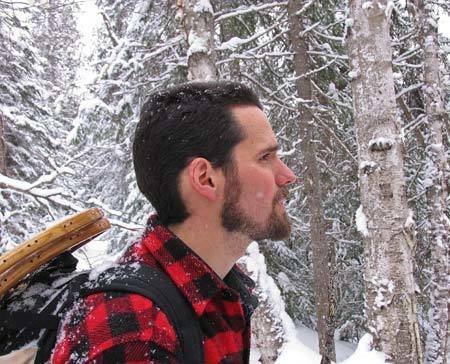 Local tracker, naturalist, and birder Dan Gardoqui of White Pine Programs will give us a peek into the world of Deep Bird Language including tips on how to “re-awaken” this hardwired skill set of awareness. This program will blend field observation and interpretation with some indoor lectures & lessons about the fundamentals and nuances of learning bird language. Participants should dress to be outdoors for a few hours at a time (be prepared for biting insects); bring something to sit on (if you don’t want to sit on the ground); and bring a field notebook, pencil, and binoculars. For adults & interested teens. York County Audubon hosted Dan’s wonderful Learning Bird Language workshop last summer. This one is being hosted by the Wells Reserve. For more information, go to www.wellsreserve.org and search for Dan Gardoqui, or find it on their calendar. Dan Gardoqui is a co-founder and Executive Director of White Pine Programs – a nature connection nonprofit based in York, Maine. He has been studying naturalist skills, wildlife tracking, bird language & mentoring for over 25 years. Dan has a M.S. in Natural Resources, is a Certified Wildlife Tracker, Registered Maine Guide & served as Science Faculty at Granite State College for over a decade. Through wildlife tracking, Dan has contributed to wildlife studies and served as science editor for the bird language book “What the Robin Knows.” While not navigating the landscape of nonprofit leadership & management, Dan loves spending time trail running, hunting, playing music & being a dad to his boys.